At Hobby and Toy Central, we pride ourselves on offering a traditional toy store experience. That means providing products that educate, inspire, entertain, and last. While some of our products have media tie-ins, everything we carry emphasizes physical play — working with your hands, interacting with friends and family, getting active outdoors, and so on. It's important that the products we stock won't be obsolete and discarded the moment technology or tastes change. Now, if we're talking about tradition, nothing fits the bill better than Meccano. In my last post, I wrote about Playmobil, which is celebrating its fortieth anniversary this year. But Playmobil is still just a baby compared to Meccano, which has been around since 1901, when it was sold in Britain under the name "Mechanics Made Easy" (the "Meccano" name was patented in 1907). Even though the kits are more colourful these days, the principles of their design remain largely the same. 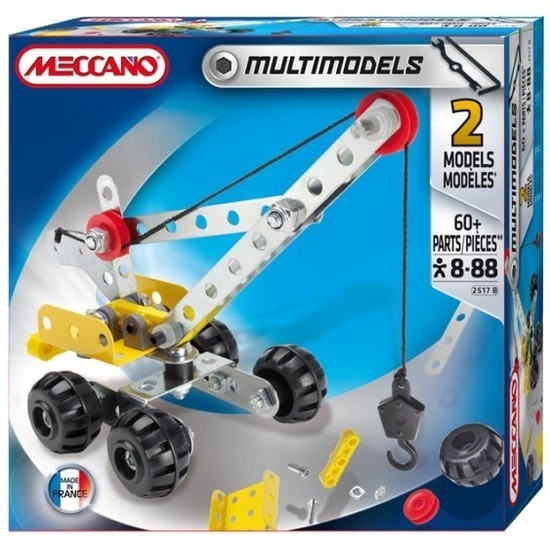 Meccano still lets you build with stamped sheet-metal components that are fastened with screws and bolts (flexible plastic in the case of the Build and Play line for younger children). More to the point, the fundamental ideals are entirely unchanged: Meccano promotes knowledge of engineering and mechanical design through hands-on creativity, problem solving, and invention. Every boy who takes up Meccano finds it the liveliest and finest hobby which ever brightened up his play hours. It gets hold of you. Once you take it up, you never drop it again. It takes for ever [sic] to do all the fine things possible with Meccano. Scores of boys who have had their outfits for many years write to us and say that Meccano is the only winter hobby really worth while. 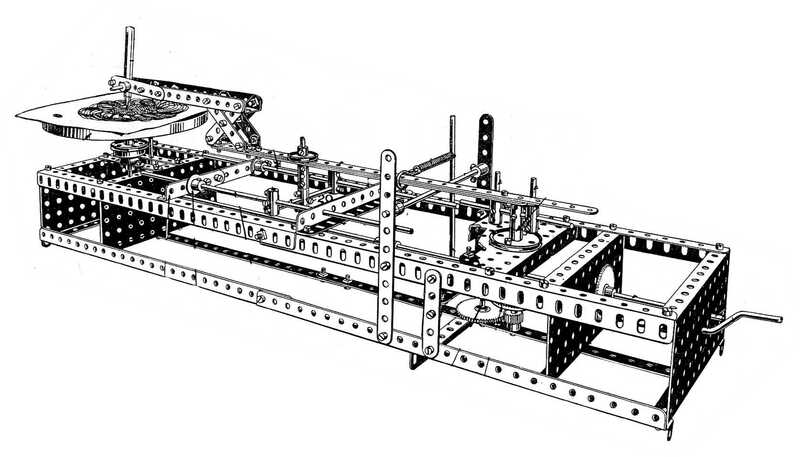 When you are building a Meccano model, you feel all the while that you are getting somewhere, that you are doing something, and that you will have something to show when you are through. And, really, a finished Meccano model is a thing to be proud of. You can always see how to improve your work next time. 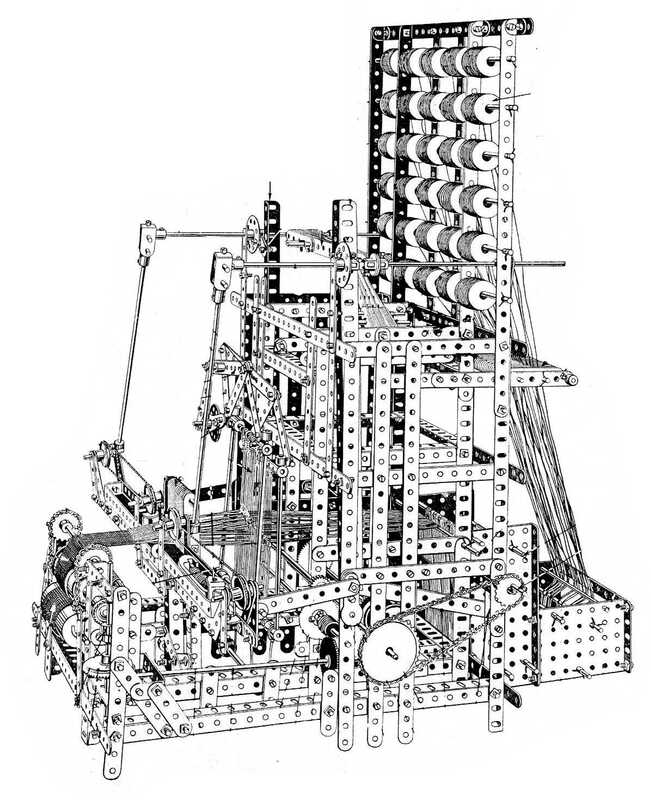 The most perfect machine in the world can be improved upon, and the most perfect Meccano model can be bettered. And do not forget that when you are improving a Meccano model you are inventing just as surely as the man who invented the motor car or wireless telegraphy, or the telephone; and inventing pays these days. …Thousands of boys all over the world owe their success to the time they put in on Meccano, and whether you become an engineer or not, a little sound knowledge of engineering and mechanicals is always useful. In spite of the obvious and unfortunate exclusion of girls, I find the author's words a delightful testimony to a sense of industrious creativity and innovation. If you invent something new, you prove yourself to be an original thinker, and if there is merit in it you get well paid for your work. …If you are contented to simply copy the Meccano models as you see them, you will never be successful in inventing anything new. Get to work now. See what the other fellows have done in the last two big competitions and then go to work on something better. Digging past the stern tone, there is a message here that applies to any construction toy, from Lego to Magformers and beyond. It is the same message that lies behind the recently-released Lego Movie. If you build a model according to the packed-in instructions, you will certainly learn a lot, but you mustn't stop there. Be creative. Build something of your own. That's where the value of construction play really shines. Hornby, creator of Meccano, grew up in Liverpool, one of the largest shipping ports in the British Empire, and held a particular fascination for the loading cranes he saw at the docks. It was this fascination that led him to create his line of building toys for children. In fact, the patent he took out in 1901 features a model crane. 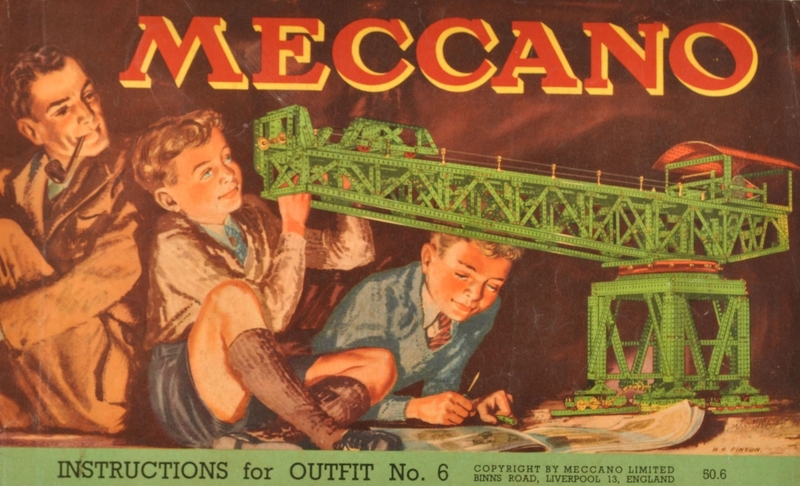 These days, the bulk of Meccano's outfits make vehicles and spacecraft, but the spirit of the brand's earliest days lives through their crane models. We carry two at Hobby and Toy Central: a tiny sixty-piece multi-model kit (2517B—in-store only) and the enormous, six-hundred-forty piece Super Construction Set that, as well as an elaborate motorized crane, has instructions for twenty-four other models. Don't stop there, though. Let the crane lift your spirit of invention beyond the instruction manual. I do hope I helped inspire a sense of invention for you and the kids in your life. So get inspired. Get creative. Get to work.